Refractive surgical procedures have helped people to rely less on glasses and contact lenses for decades. Over the years, several refractive surgical procedures have been introduced, each with specific benefits for both patient and surgeon. Refractive surgery continues to improve, and the latest techniques for correcting vision are more precise and advanced than ever. At Clearview Eye Center, we offer one of the most advanced refractive procedures available today: Laser Vision Correction (LASIK). Our experience has shown that this procedure offers our patients a high degree of predictability, a rapid recover and a positive outcome. Like gray hair, each of us will eventually develop cataracts as we grow older. In fact, because this common eye condition is a natural part of the aging process, cataracts will eventually affect everyone to some degree. Typically, the first step in treating cataracts is new eyeglasses. Eventually, however, the vision problems caused by your cataract may begin to interfere with your ability to function in normal, everyday activities like driving, reading or watching television. Once the cataract has advanced to this level, it may be time to remove the cataract surgically. In effort to provide the best vision correction possible, Clearview Eye Center continues to embrace the latest technology in ophthalmology and optometry. With its enhancements in clinical and surgical technology, the Eye Center provides the latest services and procedures including the Crystalens™ from Eyeonics. The Crystalens™ is the first and only accommodating intraocular lens that allows patients to focus automatically and seamlessly at all distances. The Crystalens™ is designed to provide a continuous range of vision for distance, intermediate, near and everything in between. Near and intermediate vision result from the action of the focusing muscle in the eye, called the ciliary muscle. This muscle changes the power and thus the focus of the natural lens. The Crystalens™ is designed to move backward and forward inside the eye using the same muscle as your natural lens. This enables the eye to automatically focus to provide distance, intermediate and near vision, and reduce the need for glasses or contact lenses. A new laser treatment for glaucoma patients is available at Wabash Valley Eye Center. SLT therapy, or Selective Laser Trabeculoplasty, improves the flow of fluid in the eye to lower eye pressure. This is a great alternative to treat glaucoma for those used to medications. Dr. Frank L. Emert, Jr. is performing this procedure at Clearview Eye Center. Our doctors and staff utilize advanced equipment and technology to provide complete and thorough eye examinations for patients of all ages. Your complete eye exam includes an accurate determination of your eyeglass prescription, as well as a thorough medical eye health evaluation. During your exam, one of our trained ophthalmic technicians will ask you a few questions to help our doctors get an accurate assessment of your overall eye health. 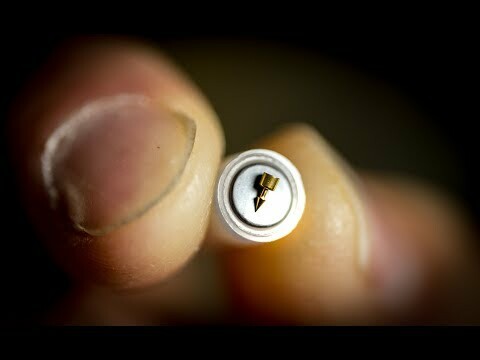 The technician will then gather essential facts and measurements of your eyes and check your vision. During this process, your eyes will be dilated so that our doctors can accurately detect any conditions that could adversely affect your vision, such as glaucoma, cataracts, diabetic retinopathy, dry eye syndrome, macular degeneration or other corneal and retinal diseases. Medical eye conditions can interfere with your quality of life by causing poor eyesight and, if left untreated, may eventually lead to a complete loss of vision. However, if detected early, these medical eye conditions can be treated – comfortably and effectively. At Clearview Eye Center, our doctors and staff can detect medical eye conditions and provide the necessary treatment to ensure that your vision – and quality of life – is preserved. Tears are necessary for your overall eye health. Dry Eye occurs when the eyes do not produce sufficient tears or the tears evaporate too quickly. Without proper treatment, inadequate tears can make daily activities frustrating, affecting your personal and professional life, from reading to watching TV, to driving or working on the computer. The most common form of Dry Eye is Evaporative Dry Eye, which affects 9 out of 10 (86%) Dry Eye cases. This form results from a shortage of oil in your tears caused by a blockage in your eyelid (Meibomian) glands, leading tears to evaporate faster than normal. This lack of tear oil is often referred to as Meibomian Gland Dysfunction (MGD). A cataract is “any opacity which establishes in the crystalline lens of the eye or its envelope.” Cataracts create a range of factors, with one of the most typical element being the lasting direct exposure to ultraviolet light. Cataracts could additionally create from innovative age or additional impacts of illness such as diabetes mellitus. An outcome of denaturation (the conversion of DNA from the double-stranded to the single-stranded state; splitting up of the hairs is frequently completed by home heating) of healthy lens proteins, there are numerous hereditary aspects which are likewise understood to play a significant function inclining a specific to cataracts. As discussed over with progressing age the occurrence of cataracts ends up being even more leading. Cataract development is anticipated in any private over the age of 70 (50% of all individuals in between the ages of 65 as well as 74 & about 70% of those over 75). Cataracts are most frequently assisted through a surgical treatment called cataract surgery. The surgical procedure intends to recover the eye back to its initial state by getting rid of any cataracts that are existing. We’re just provided one collection of 2 eyes. Caring for them is very essential. This could suggest straightforward preventative measures such as putting on sunglasses to stop our eyes from aspects such as ultraviolet light, wind, as well as from obtaining fragments in the eye that could harm or lenses. Reflexology for eyes can also be used. Glaucoma is the leading cause of visual loss. This lecture will cover the medical management of glaucoma/grøn stær, which is the most common therapy for intraocular pressure reduction. Visual loss from glaucoma is irreversible, and the goal of treatment is to prevent loss of vision. Reducing intraocular pressure is the only known way to cheat glaucoma. And this may be achieved with medication, laser surgery. Results from several landmark studies including the ocular hypertension treatment study, the early manifest glaucoma trial, and collaborative normal tension glaucoma study show that a lower IOP reduces the risk of developing glaucoma and slow the risk of disease progression. Not too long ago, elevated interocular pressure and glaucoma are synonymous, where any elevation of IOP was considered glaucoma. However, it became recognized that an elevation of IOP was not a component of the definition of glaucoma, and has been classified as a risk factor, rather than a clinical feature of glaucoma. 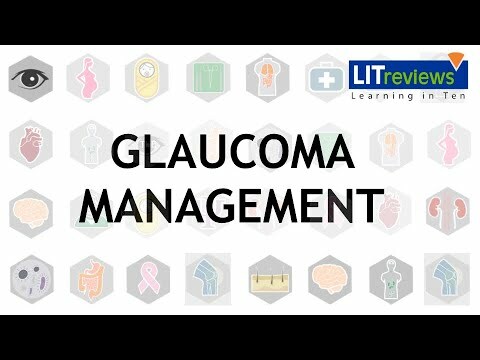 The glaucoma community then realized that not glaucomas are alike. And, despite low IOPs, some patients continue to have progressive optic nerve damage. The concept of target IOP was conceived, which highlighted that treatment should, therefore, be individualized. This refers to a range of IOP where the upper limit is unlikely to result in further damage to the optic nerve. This is not a fixed number, for the rest of the patients follow up, and needs to be reassessed and changed as dictated by IOP fluctuations, nerve changes, and visual field progression. Risk factor should also be taken into accounts, such as how advanced the glaucoma is at present, the severity of damage, and the patient’s life expectancy. Today, we will go through a brief overview of the different medication classes that we use to treat glaucoma. Beta-blockers were first introduced in 1978 in the form of Timolol maleate. Other beta-blockers were later introduced, including Betaxolol, which is cardioselective and blocks beta-1 adrenergic receptors. Beta-blockers work by reducing aqueous production. Typically, the drugs are well tolerated, but the larger concern was the systemic absorption and potential side effects. These are well described, and these include precipitation of asthma attacks through bronchoconstriction, masking of hypoglycemia, fatigue, and bradycardia. They have been found to be less effective in patients taking systemic beta-blockers. However, they appear safe, as lots of patients, with no contraindications, avoid them. One main advantage of this drug class is the availability of Timolol as a generic and is, therefore, cost-effective. The use of beta antagonist has declined with the introduction of prostaglandin analogs. Prostaglandin analogs work by increasing uveoscleral outflow and allow 25% to 30% reduction in IOP. Tachyphylaxis and systemic side effects are rare. And local side effects are well tolerated. Hyperaemia is most common, and other effects include iris darkening through the increase of melanin, precipitation of anterior uveitis and cystoid macular edema. Eyelash growth is also common, but fortunately, it’s only a cosmetic concern. These agents have become the primary agent for therapy, as they are more efficacious with fewer side effects and have a more friendly once a day dosing schedule. Adrenergic agonists inhibit aqueous production and aqueous enzyme outflow. They allow for 20% to 30% reduction in the IOP. Several known side effects of Apraclonidine, the first drug in this class, include the development of allergic follicular conjunctivitis and tachyphylaxis. The alpha-adrenergic agonists of choice are now Brimonidine, which still carries some of the side effects to some extent. They have a short duration of action, requiring them to be used on a three times a day dosing when used singly, which is where they have been delegated as a secondary role as the drug of choice. Adrenergic agonists are safe, but they should not be used in children younger than six years of age, as it can cause central nervous system suppression. Cholinergic agonists cause ciliary muscle spasm, leading to improved flow through the trabecular meshwork. Pilocarpine is most commonly used, though it has decreased in popularity due to its four times a day dosing schedule and common local side effects, which include brow ache, blurred vision, and a myopic shift. Carbonic anhydrase inhibitors reduce aqueous production and allow a 15% to 20% drop in IOP. This was initially available as an oral preparation and was known to induce systemic side effects. Commonly, a metallic taste in the mouth, depression, and importantly, kidney stones and aplastic anemia. Topical preparations dramatically reduce systemic side effects, though local irritation is common, and especially pronounced with Dorzolamide. These drugs are from the sulfur family, and therefore, contraindicated in patients with sulfur allergies. Hyperosmotic agents reduce IOP by causing a reduction in various volume, by creating an osmotic gradient between the vitreous and intravascular fluid. They may be administered orally or intravenously, and are more valuable in situations of acute intra-ocular pressure elevations. In angle-closure ancillary block glaucomas, hyperosmotic agents work through reducing IOP and deepening of the anterior chamber, the reduced vitreous volume. These medications should not be given chronically to treat glaucoma, due to potentially serious systemic side effects of electrolyte imbalance and kidney failure. When monotherapy fails, combination therapy is effective in further lowering IOP. Fixed-dose combinations, in addition to further IOP, lowering, keep treatment regimes simple, and therefore, help with patient compliance. A majority of combination preparations include timolol, though more recently, a new FDA approved Sumbrinza, does not have the beta-blocker component, which eliminates the associated cardiovascular or Padmini adverse effects. Glaucoma medications are ever evolving with increased efficacy. Prostaglandins are currently the primary agent of choice, though the arsenal of medical therapy is ever increasing. Potential side effects can be avoided by calibrating the patient’s profile to the appropriate medication. Thank you for listening.